The heatwave in Boston continues! I am looking forward to heading to the beach tomorrow and enjoying a relaxing weekend with family. I am sharing more about my bridal shower next week but for now enjoy these faves! How amazing is this bathroom!? Book-marking these outdoor party planning tips for our "condowarming" BBQ late this summer. 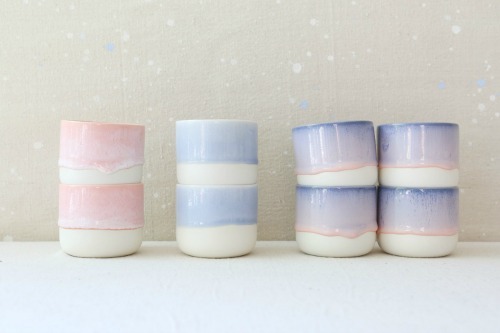 These cups remind me a lot of the cotton-candy sunsets we've been having. Photo via More & Co.